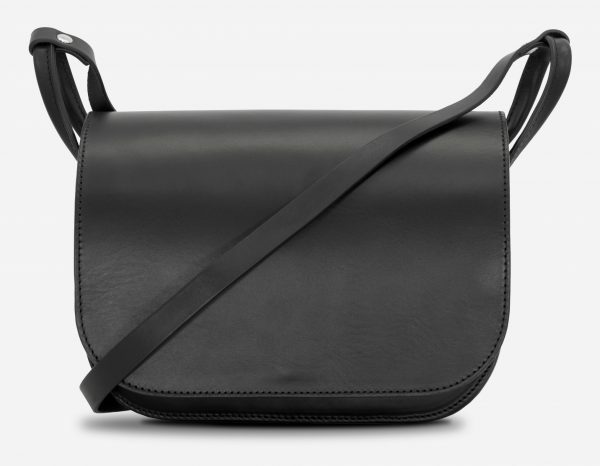 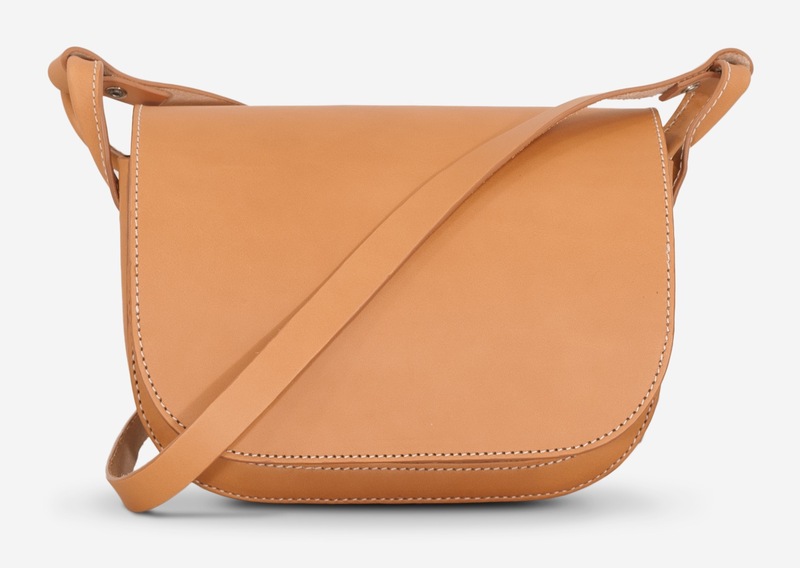 Clean, elegant shoulder bag that will transcend trends and seasons. 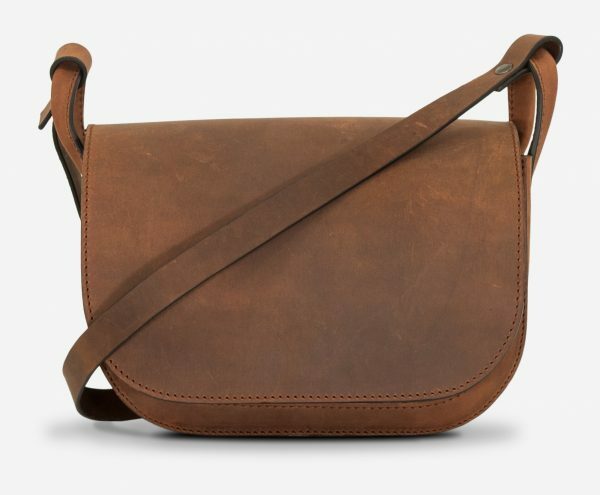 Handmade in our traditional equestrian-inspired saddle shape from robust vegetable-tanned leather with hand-painted edges. 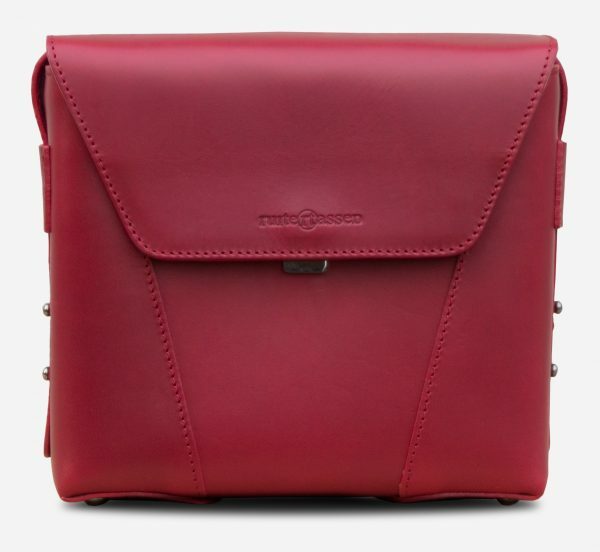 It has a capacious dual-compartment interior with enough room to carry your book, cell phone and make-up essentials. 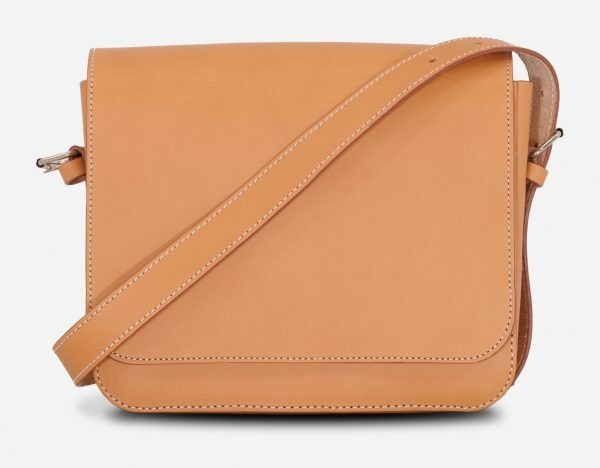 Secure your keys to the handy leather leash and store your purse and loose change in the snap-fastening front pocket. 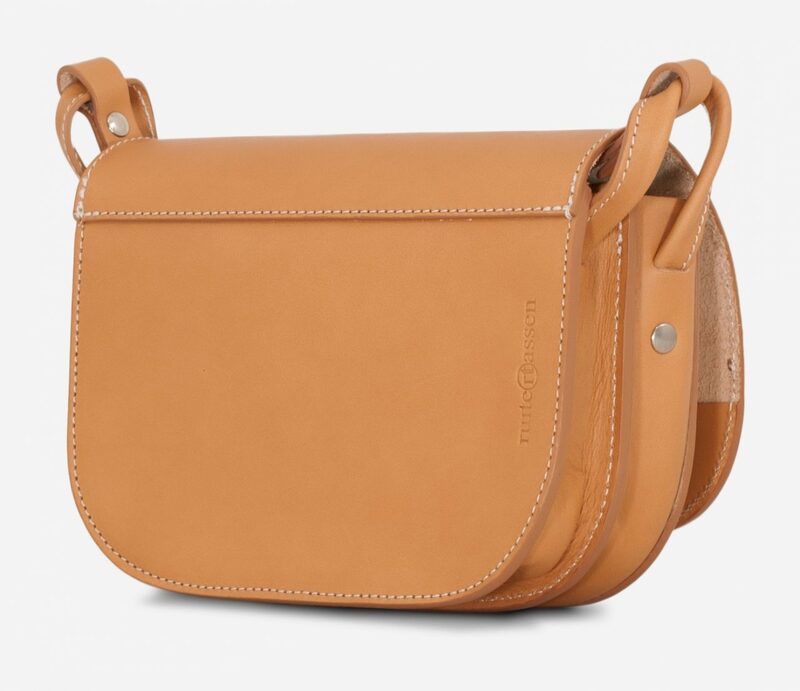 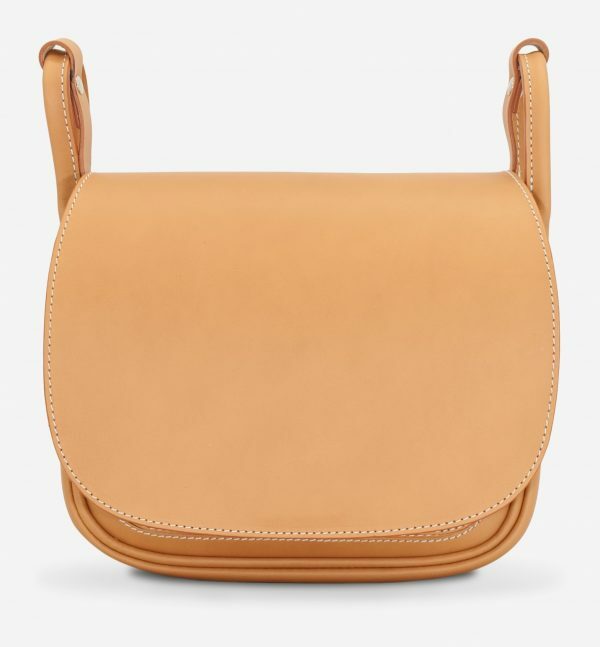 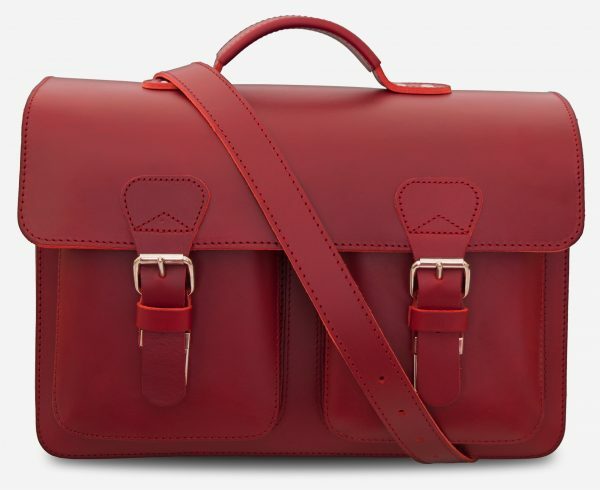 It has a handy magnet-fastening main flap and an elegant tan leather shoulder strap. 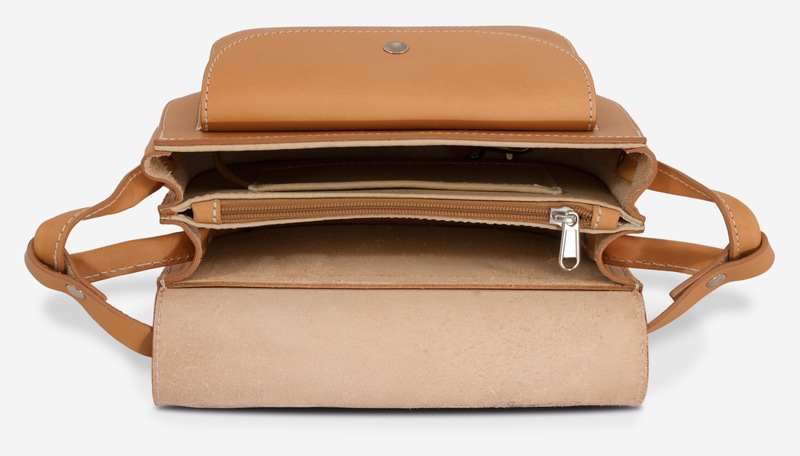 Stow your passport and boarding pass in the zippered pocket. 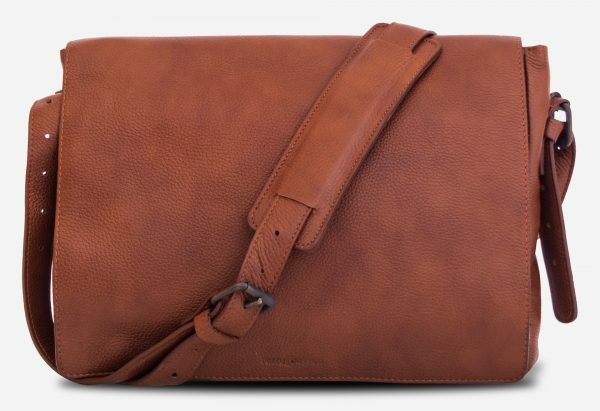 Ideal for shopping and as a carry-on for travelling.